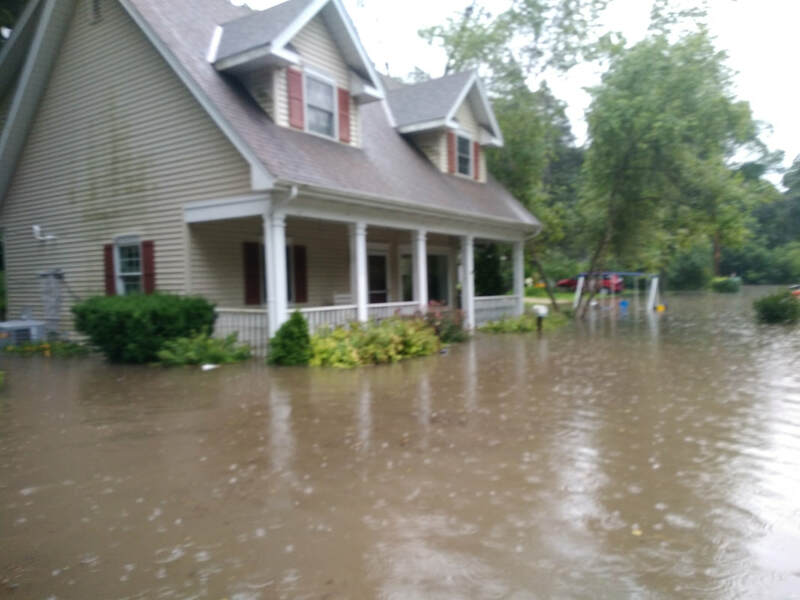 We awoke at about 6:30 on the morning of July 12, 2017 to find water surrounding our house and just coming over the front porch. We quickly realized that things were getting worse so called a friend who lived on the hilltop above us to come rescue us. When we walked out of the house toward his car a ways up the hill water was rising above the main floor. It peaked out about six inches over the floor. Kitchen, which once had a "floating" floor! It literally floated this time. 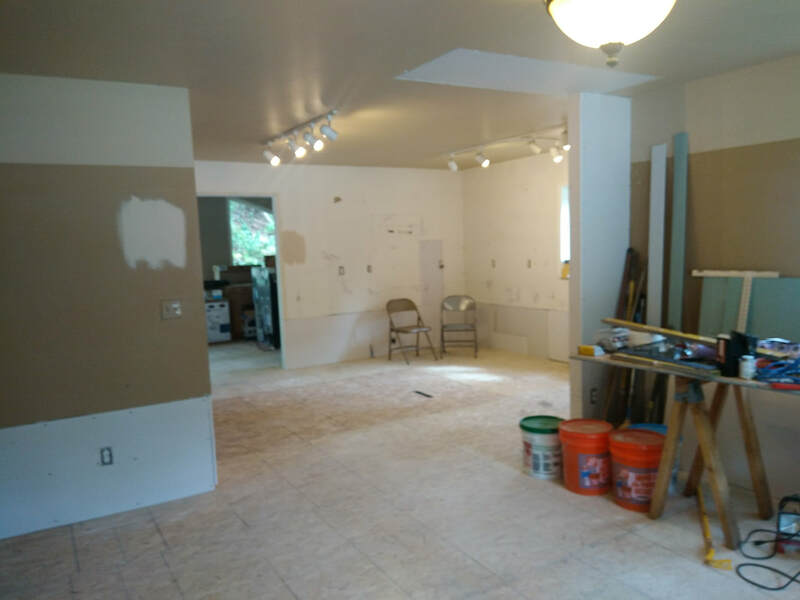 This was once our kitchen. 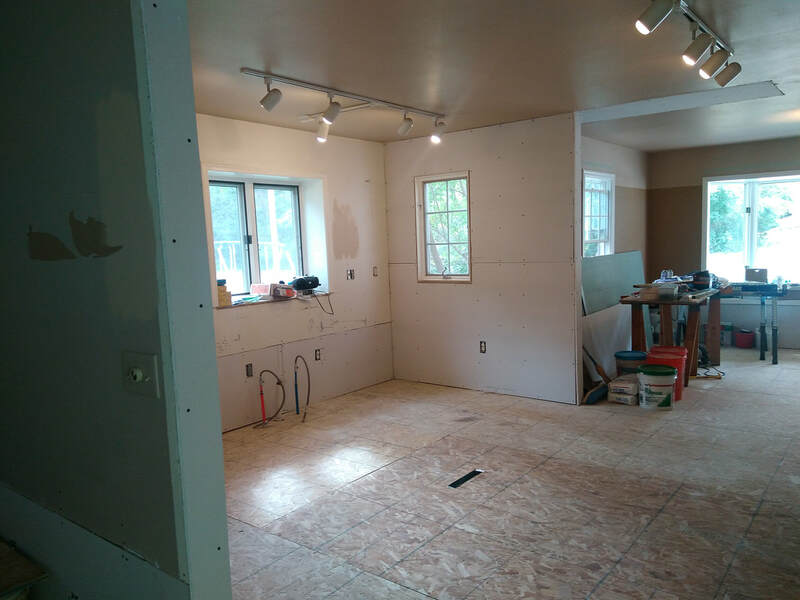 We had to remove drywall and insulation up to about 24 inches above the floor in the entire house. We have several friends who were also affected, at least one family suffering much more damage than ourselves. 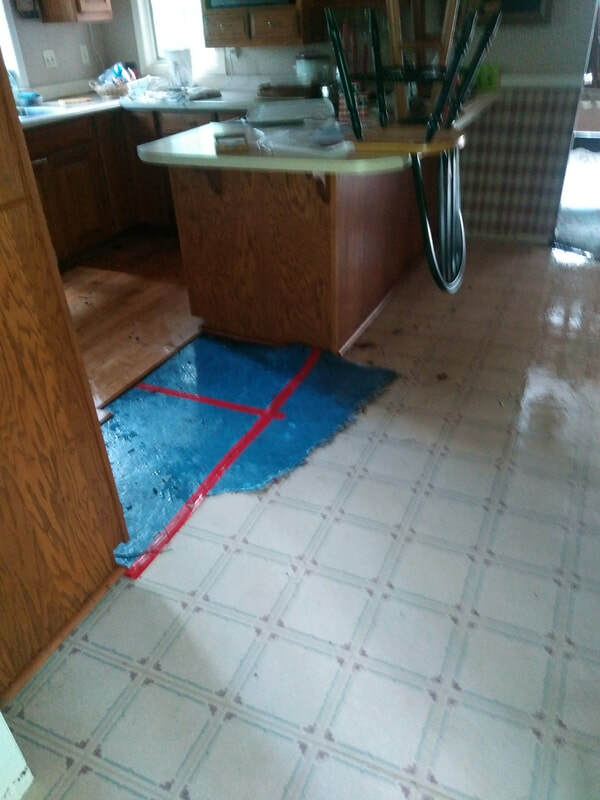 All flooring, including the sub floor had to be removed. 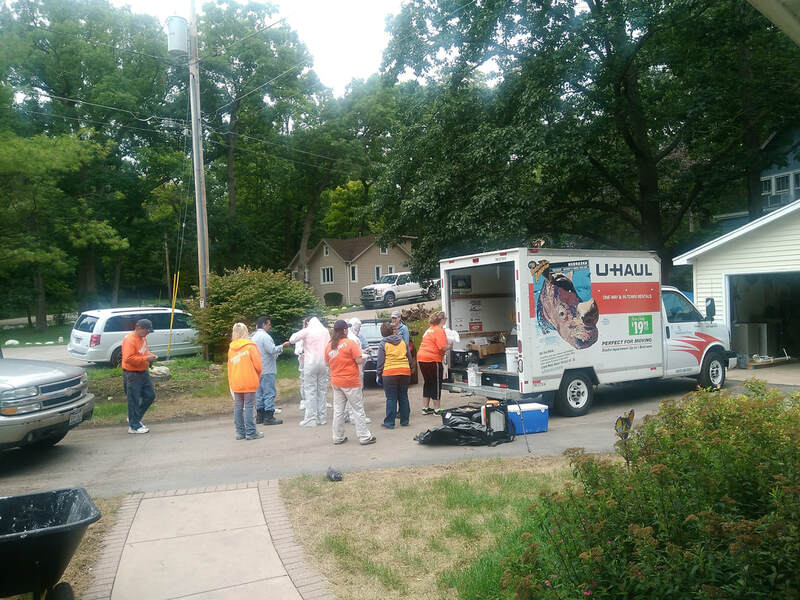 Thanks to many friends and our church family and two volunteer crews from Samaritan's Purse, the clean up is largely complete (8/5/17) and when drying is complete we can begin rebuilding. 2017-10-06 We have made a lot of progress over the past two months. 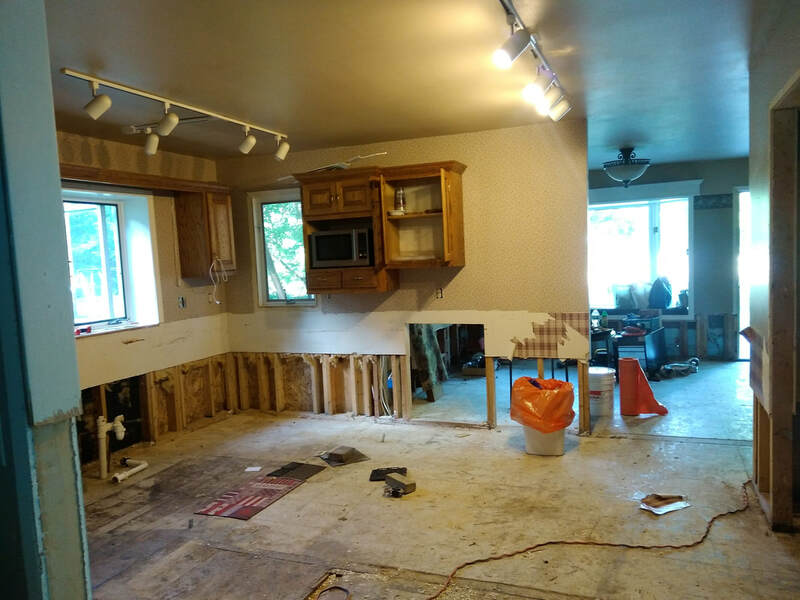 The old subfloor has been removed and replaced, the wallboard has been hung, plumbing and electrical work is complete, sump pumps are installed.... It is ready for the taping, mudding and painting. Hopefully by the end of October we should be moved back in! Special thanks to so many wonderful people who have helped in so many ways from helping with the actual work, to providing meals, to giving money, and praying for strength, peace, patience, endurance. We wouldn't be here without YOU! Thank you. Kitchen ready for tape and paint. Dining room and kitchen viewed from front door.